Do you like watch webcam which set up around the world? If yes, maybe Earthcam is good for you. From New York City to Moscow, you can search webcam on this world. It is great, because you have more than two eyes while you watch webcams. 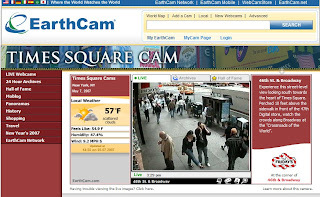 Actually, Earthcam is a webcam search engine, that helps you find some interest webcams in different corners of the world.